The evidence base for prevention and early intervention in the early years is growing, but there are still some significant gaps when it comes to costs and cost savings. For ‘Preventonomics’, we are putting together estimates of the costs of not intervening early. We will, for example, look at the costs to society caused by child maltreatment. Child abuse and neglect have a profound impact on children, and recent research has linked it to not only mental health and behaviour problems, but also a higher risk of developing chronic health conditions in later life. But for a lot of things that can impact children’s lives negatively, there is no good source of cost data. How can we address this problem? 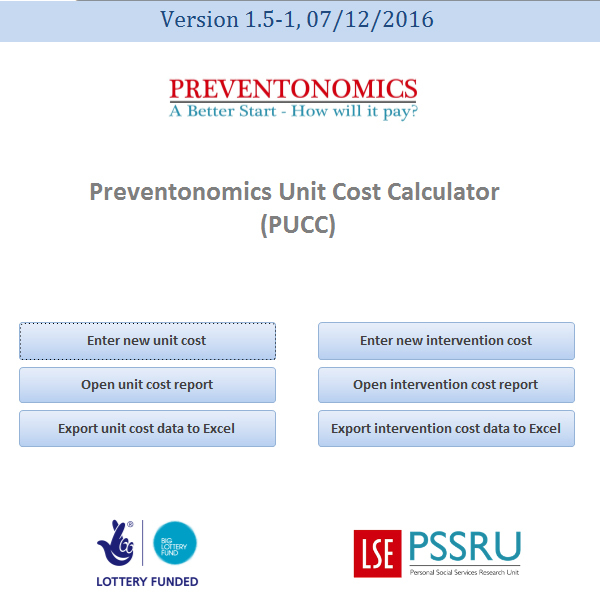 The ‘Preventonomics’ model will use an outcome-focussed approach to estimate the costs of childhood problems. This way, we can make use of the available data, while acknowledging the complex relationships between childhood risk factors and outcomes. Let’s go back to the example of child maltreatment. There are few studies examining the costs associated with it, be it directly or indirectly. We know a little bit about the costs of taking children into care, but that is only a small part of the story. What we do know, however, is that child maltreatment is closely associated with children developing behaviour problems. And this is an area where there a decent evidence base already exists. We can therefore take what we know about the consequences child maltreatment and the costs of behaviour problems, and put this information together to estimate the costs of child maltreatment. For the ‘Preventonomics’ model, we have identified several key problems emerging in childhood that are linked to the three ‘A Better Start’ areas of intervention: Social-emotional development, speech and language development and nutrition. These childhood problems are in turn linked to longer-term outcomes, for example lower academic achievement and a resulting lower income later in life. This means we will have a common framework for assessing the impact of ‘A Better Start’ on a range of childhood problems and their economic consequences. An outline of the model framework can be downloaded here. It reflects our current thinking and is by no means meant to be a complete picture of the final model. The arrow at the top signifies different stages in a child’s life and the passing of time. The first two sections, “pregnancy and birth” and “home environment / parenting” are where interventions as part of ‘A Better Start’ will happen. “Child outcomes” are the types of childhood problems that ‘A Better Start’ is looking to prevent. The vertical, double-ended arrows indicate that the problems noted in each section are interlinked. And “economic end points” represent the longer-term consequences of childhood problems that can be quantified in terms of money. The focus on outcomes is useful for developing the ‘Preventonomics’ framework because it helps us work around a shortage of cost data, but it has another advantage: It allows us to focus on what really matters for children and their families. The model will estimate savings in terms of ‘bad’ outcomes averted, and through this will reflect the focus of ‘A Better Start’ – improving the lives of children through prevention and early intervention. In our next post, we’ll talk about some of the advantages and limitations of economic models more generally, and what this means for ‘Preventonomics’. Until then, follow us on Twitter (@preventonomics, @BigFirstYears) and join the conversation by using the hashtag #ABetterStart.